This is topic to discuss completely unknown or extremely cheap lenses that perform admirably (so, no Bokina or Series 1 :-) ). 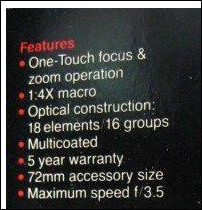 1) Buy only original 28-200mm as in picture below. Tokina is absolutely different lens with different optical formula (look at crop from Vivitar box, Tokina have fewer elements). 2) For Pentax, lens could come either in PK/A or PK A/R mounts. In former you must remoive Ricoh pin. On both you must use file to remove excessive lever protection. 3) Closed down, lens is PP friend. Good wide open, but as on many old lenses have some abberations. Contrast is lower due to many glass surfaces and not top-notch coatings. Abberations are almost absent if close down (see below). 4) Corners are controlled quite well. That is the one! Be careful to ask if there is any fog on the lens or stuck aperture blades if purchasing on eBay. This lens has very nice color. It is not as heavy as some Vivitars, but not light like the 55mm. What do you mean 'the Ricoh pin' ? and why do I have to remove it? I just bought one of these on eBay and also bought a Pentax PK-M43 adapter. I thought with an adapter it would just work....?? You need to remove it if you plan to use in on Pentax. If not, it does not matter. Yes, 28-mm f/2.8 lenses are common and not terribly expensive, but most of them don't perform well or are more expensive than this one. This one is great even wide open, with good contrast and low flare. It was introduced in 1981 in the third revision of the MD line, so the coatings are good even by modern standards. 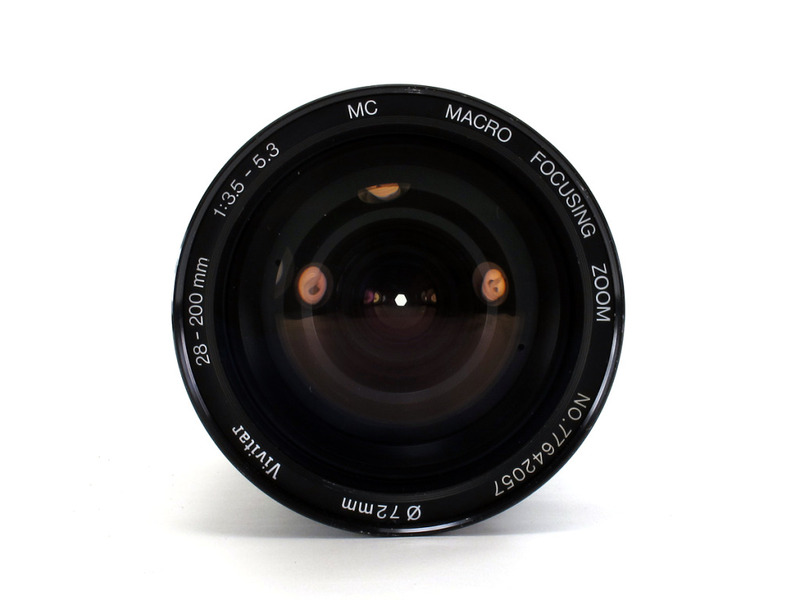 There are many different versions of the Minolta lenses, not all quite hidden gems, but with great deals to be had for f/2.8 and faster lenses at 28 mm, 35 mm, 45 mm, 50 mm, and 135 mm. The Celtic line is the budget line, but in many cases the Celtic lenses use the exact same optics as their Rokkor or MD cousins. The 24/2.8, 58/1.2 and 85/1.7 lenses are quite expensive and sought after - not hidden gems at all. It's a gem because it's 95% of the f1.2 that anyone can afford. Guys, this is topic about hidden gems, with data, specs and link to examples, at least. OK, here we go: Tamron 90mm 1:2.5 SP Macro – one of the finest macro lenses with beautiful Bokeh. Very sharp even wide open, good for any distance, not only macro. Still under 100 €/$ on Ebay. This is not really hidden gem. Robotar 35mm f2.8 m42 thread, 55mm filter size Very nice sharp japanese lens. Paid 30 eur for it few years ago. I'll post some pics of it, and taken by it. It is definitely hidden, not sure if it is a gem, at least because of the name. I would add the Takumar 200mm f5.6 to this list. After reading some reviews many prefer this over the faster f4 version claiming better color. I haven't tried th F4 version, but my 50 year old F5.6 looks pretty nice in my humble opinion. 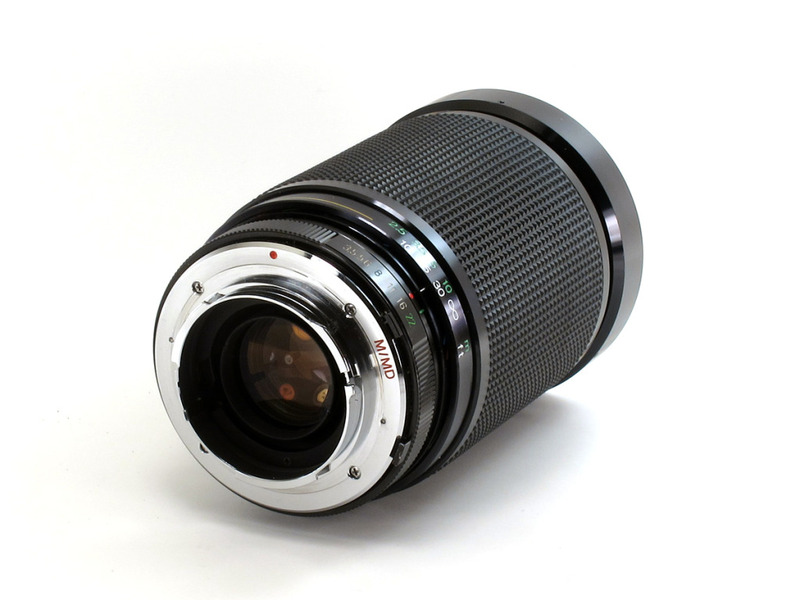 @LPowell Do you have any examples of stuff shot on this lens? I see a few deals right now for it. I've been looking for a parfocul constant zoom for a bit now. @lpowell @vicharris - Just used my newly purchased konica AR 80-200 f3.5 on a shoot today. Parfocal? The focus was all over the place when zooming? Perhaps I'm not understanding but this lens doesn't seem to be parfocal. On the other hand the constant aperture does hold true. Perhaps I got a bad one. For $20 US worth a try. Ya think? Yes, in this case, I'm afraid you've only shortchanged yourself. I tested my well-preserved copy of the Hexanon 80-200mm f3.5 using the AF100's focus peaking feature. Even at f3.5, the red fringes shimmered persistently throughout the full range of the lens' focal lengths. And it doesn't breathe much either. I have the Tokina SZ-X 28-200mm F3.5-5.3. The contrast is unlike any other lens i've ever used. Quite high. Dirt cheap lens. 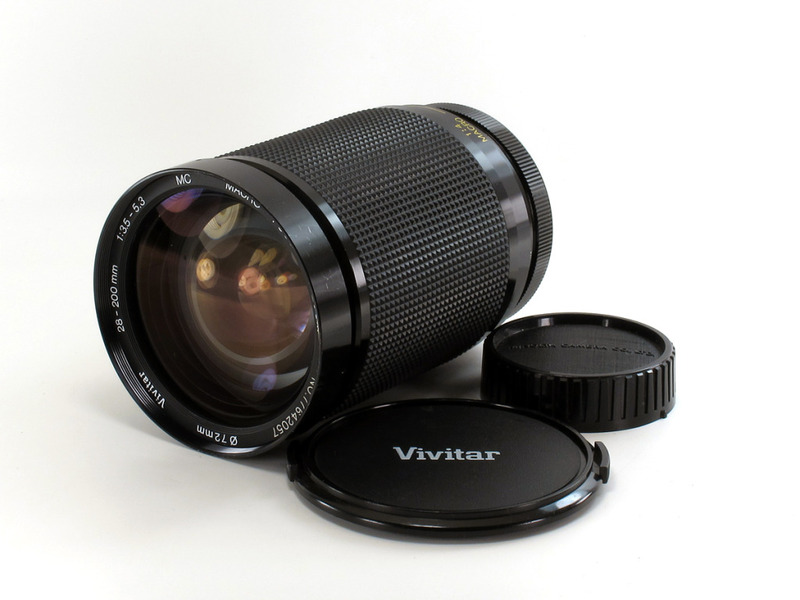 And most interesting is that Tokina and Vivitar are completely different lenses (while both are 28-200mm F3.5-5.3). Here's my GH2 with a vintage Angie and Red Rock. Parafocal, beautiful. Here's a demonstration of the Hexanon 80-200mm zooming across its range at f3.5. Sorry it's a little overexposed, I wanted to demonstrate its parfocal ability to hold focus while zooming at its narrowest DOF. @LPowell NICE! Just what I've been looking for. Is the zoom ring hard to turn or does it require some motivation? I see one for $30 right now. Looks like a deal to me.